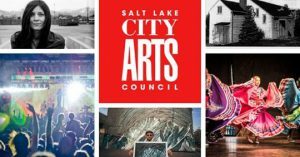 The Salt Lake City Arts Council has a new Director, Felicia Baca, who joins a legacy of great arts leadership in our City. What better time than now to highlight the great work being done and plans for the future of this amazing organization? Baca invites anyone with questions or comments – artist or audience – to call, send an email, and set up a time to sit down and chat. The arts have long enriched the human spirit, providing a lens for culture, and challenging us to see from different perspectives. Salt Lake City is home to a world-class arts and culture scene that plays an important role for families and businesses relocating and expanding in Salt Lake City. It stands as a significant economic driver for the City supporting over 10,000 jobs and delivering engagement opportunities to audiences with higher-than-average attendance.